Production has already started at the new Wilo facility, which has the capacity to manufacture more than one million pumps per annum for both residential construction and industrial and commercial use. Production will also include 200 000 pump motors per year. The plant is equipped with a test bench along with an 18.3 m deep test basin for commercial pumps to allow Wilo to manufacture large-sized models in South Korea for the export market. 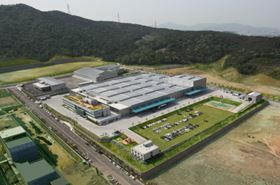 The new Wilo site in Busan, which includes sales and administrative facilities, has room for future expansion. “With the new plant in Busan, we hope to expand our production capacity for the Asia-Pacific market,” said Oliver Hermes, chairman of the Wilo SE executive board.